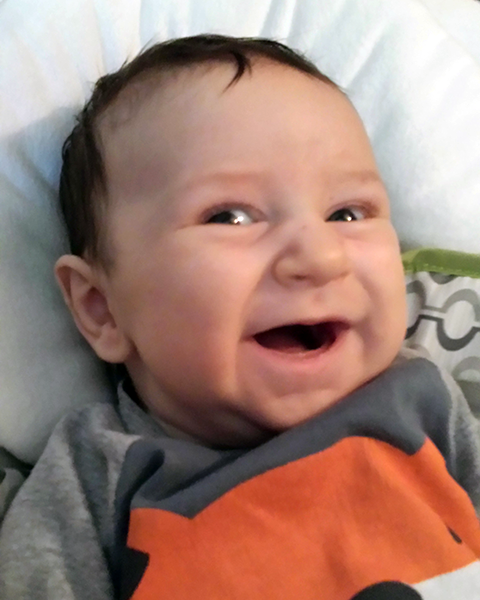 Caspian is all smiles these days. Caspian Zwemer Koeser was born at 5:37 a.m. on September 14, 2014 at Northside Hospital. He weighed 8 pounds, 12 ounces and measured 23 inches long. He is the first child of Rebecca Sutton Koeser (UIT) and her husband Greg.